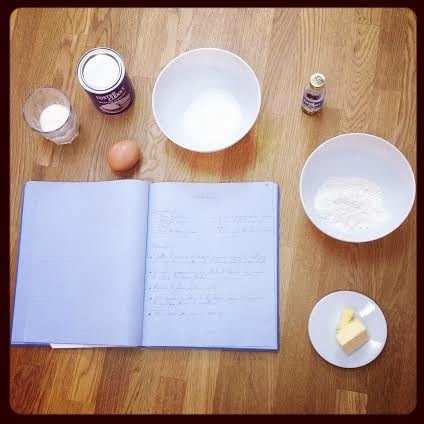 A few days ago I was discussing madeleines and I realise I never shared my recipe with you! The funny thing with these French pastries is that they are special for their shape more than their taste really. They can be lemon flavoured, orange flavoured, vanilla flavoured... but a madeleine isn't a madeleine without this typical little bump on the top and shell shape on the back... Took me three years (and countless skype dates with my mother) to get that bump right, there is a trick: the oven needs to be very hot (200°C hot) because it's the temperature shock that creates it. 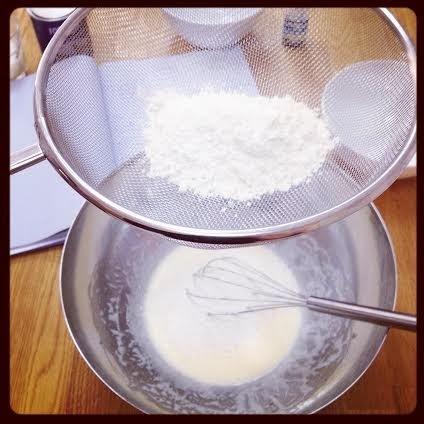 Start by mixing the sugar and the egg and beat the mix until the sugar has completely melted and you have a pale and fluffy mixture, that should take a good 20minutes (I usually take turns with whoever is around... want madeleines? gotta work for them). Then add the melted butter. Then the flour, little by little. Lastly, add the baking soda, the milk and the vanilla extract. Pour into your tin (don't forget to butter them if needed) and put in the oven. Don't walk away, stick around: when the bump on the madeleines is formed (usually takes 10min) for an other 10min, lower the temperature to 160°C. 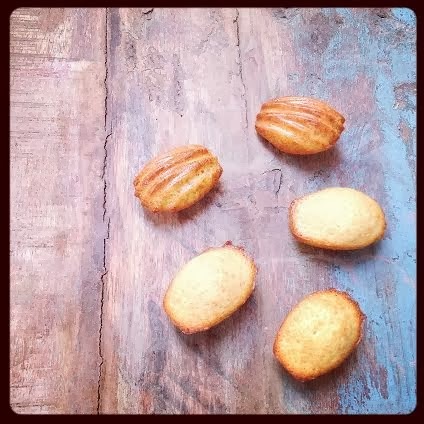 When all soft and golden, take the tray out of the oven, let the madeleines cool down and enjoy with a coffee!